Posted October 30th, 2014 - News Posted for ISA News. 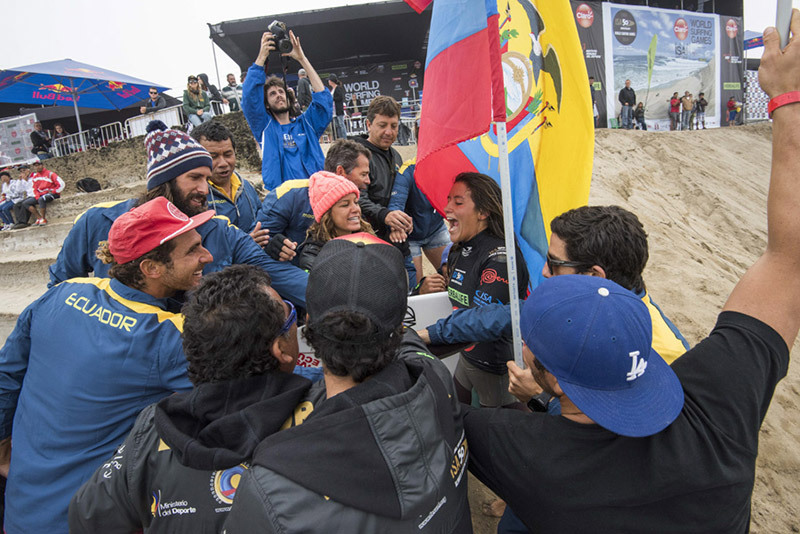 With only two days remaining at the Claro 50th Anniversary World Surfing Games at the extraordinarily consistent Punta Rocas, Peru, the road to the Finals is taking shape. Both Men’s and Women’s Main Event Final are set and for the first time, two Argentinian’s have made it this far at an ISA competition. 2011 ISA World Surfing Games Champion Santiago Muniz will be joined by fellow countryman Leandro “Lele” Usuna in the Main Event Final, and will face Aussies Nicholas Squiers and Shane Holmes. On the Women’s side, local favorite, Anali Gomez will look to make the host country proud and advance to the Grand Final facing a stacked heat against Australia’s Philippa Anderson, Ecuador’s Dominic Barona, and Costa Rica’s Leilani McGonagle. The first and second place finishers will advance to the Grand Final on Saturday and third and fourth will fall to the Repechage round, where they will have one more opportunity to reach the Grand Final. The overall team points have shifted with Peru still in first, followed by Australia in second, and Argentina who moved up to the third spot over South Africa, who is now in fourth. Full team standings here . “Today was a special day for me as an Argentinian born Surfer, as for the first time in history two Argentineans advanced to the Final of the Main Event, in other words, if they advance they will become medalists,” remarked ISA President Fernando Aguerre”. 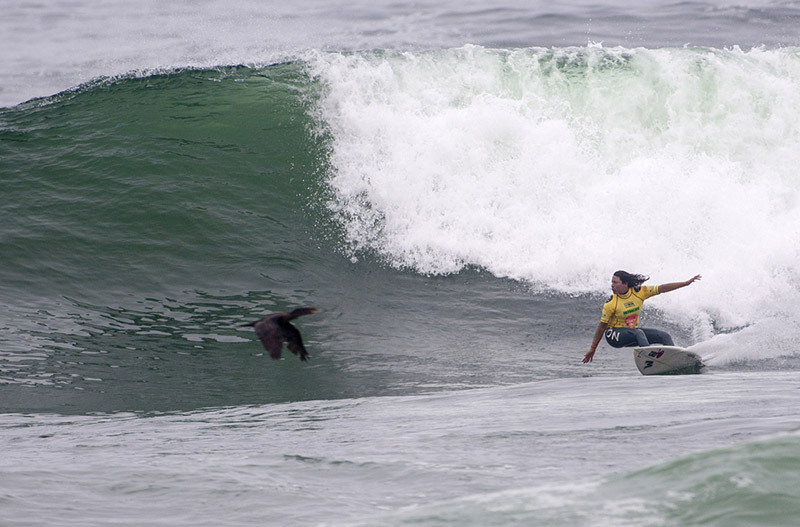 Day 6 standouts for the Main Event Rounds were led once again by Peru’s Anali Gomez in the Women’s Division, and Argentina’s Santiago Muniz in the Men’s Division. Gomez posted 13.50 points to defeat Costa Rica’s Leilani McGonagle (9.33); both competitors are now in the Main Event Final, one last step before the Grand Final. Hinako Kurokawa (6.53) from Japan, and Lucía Cosoleto (6.47) from Argentina were sent to the Repechage, where they still have a last chance to advance to the Grand Final. Team Ecuador cheering on their last surfer in the contest, Dominic Barona, who advanced to the Women’s Main Event Final. Photo: ISA/Michael Tweddle. Argentinean Muniz posted an impressive score of 16.00 and defeated Australia’s Nicholas Squiers (11.27) and Costa Rica’s Anthony Fillingim (10.5). The day finished with elimination rounds, further narrowing the field of competitors. Australia’s Hayden Blair, who first posted a total heat score of 15.43, the highest of the day, and then a 10.93, led men’s Repechage Rounds 6 and 7. Both scores allowed him to stay in competition, still looking for a spot in the Grand Finals. Jessica Grimwood also from Australia was the best performer during the Women’s Repechage, earning a 12.17. In second place came Chile’s last athlete in competition, Jessica Anderson, who achieved a 8.27. Anderson’s teammate Lorena Fica came third with a 5.30 and in fourth, Costa Rica’s Lisbeth Vindas with 3.9, who are now eliminated from competition. Friday will feature the semifinals of the ISA Aloha Cup, a tag-team relay competition. 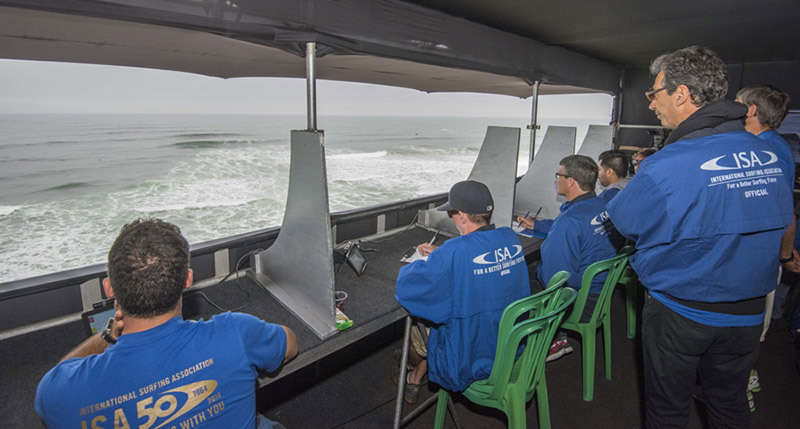 The eight teams who will compete are based on the top seven ranked teams in attendance from last year’s World Surfing Games, as well as our host nation Peru, and they include: South Africa, Australia, Peru, Panama, Costa Rica, Argentina, Chile and Mexico. 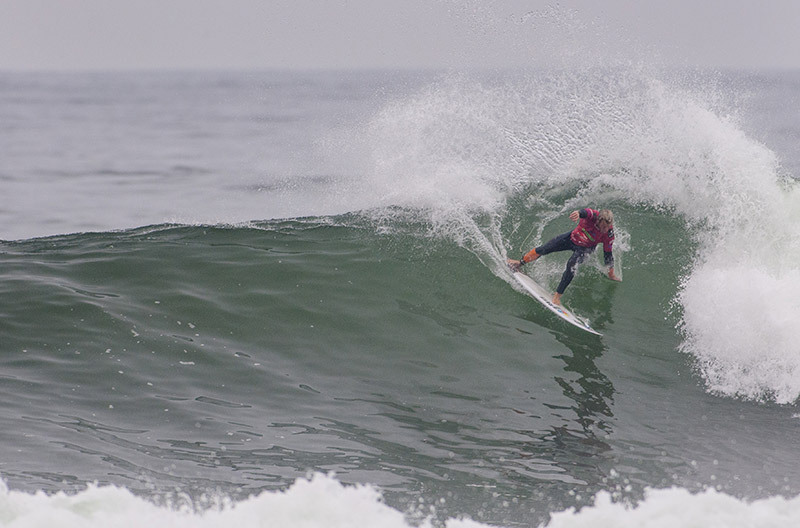 Each team is made up of 3 Men and 1 Woman surfing in the Semifinals followed by the Final on Saturday. For a full list of today’s results, click here. 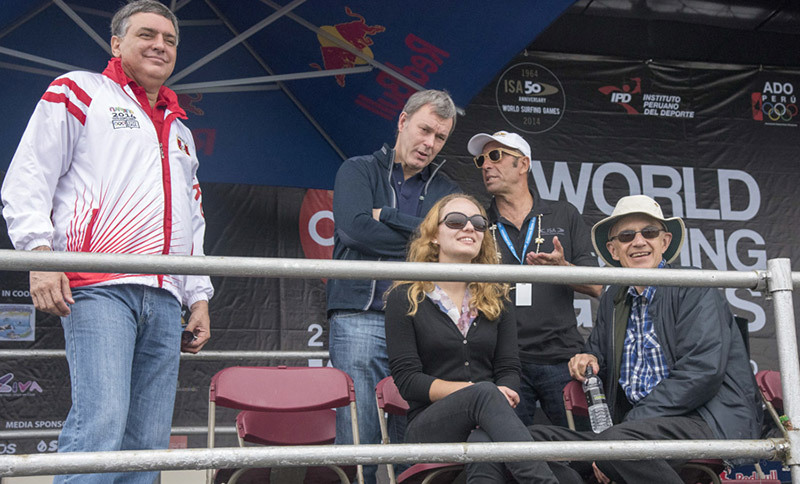 The Claro ISA 50th Anniversary World Surfing Games resumes tomorrow at 8:40am with The Morning Show hosted by Philip Muller, with Guests from Team Chile.